Fourth grade students have tested in both in the PACER and Sit and Reach tests. In addition to long distance activities, sprinting can be very beneficial to improving one’s PACER test. As the PACER test progresses, students must increase their running speed. They will eventually have to sprint towards the end of their test. 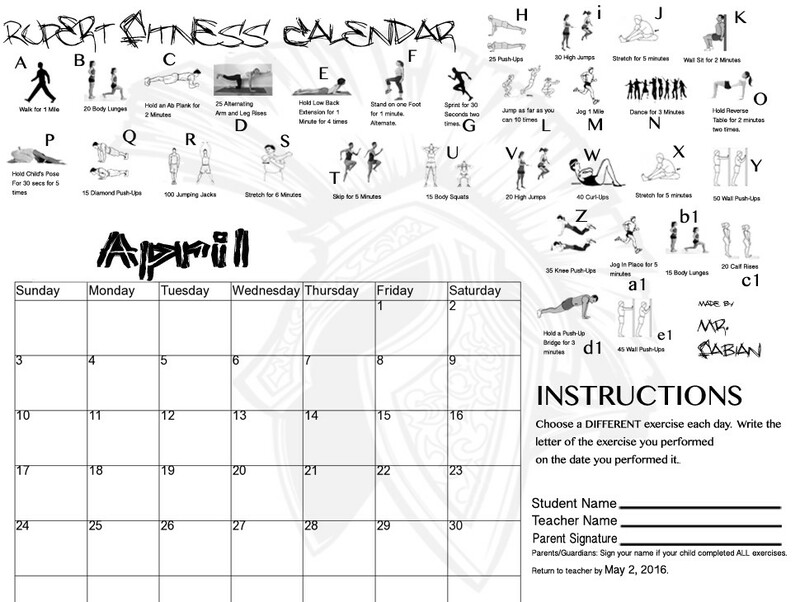 Students participate in exercises to improve their fitness tests every single Physical Education class. The more they practice for the test, the better their test scores will be. Most importantly, their health will improve. The Rupert Fitness Calendar is now available. Click on the photo to the right to view. 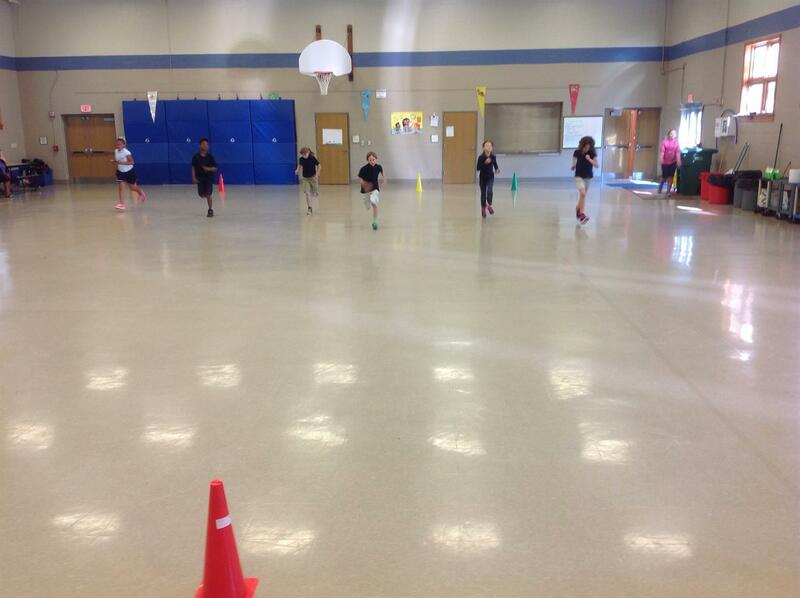 4th grade students are currently practicing for fitness testing. 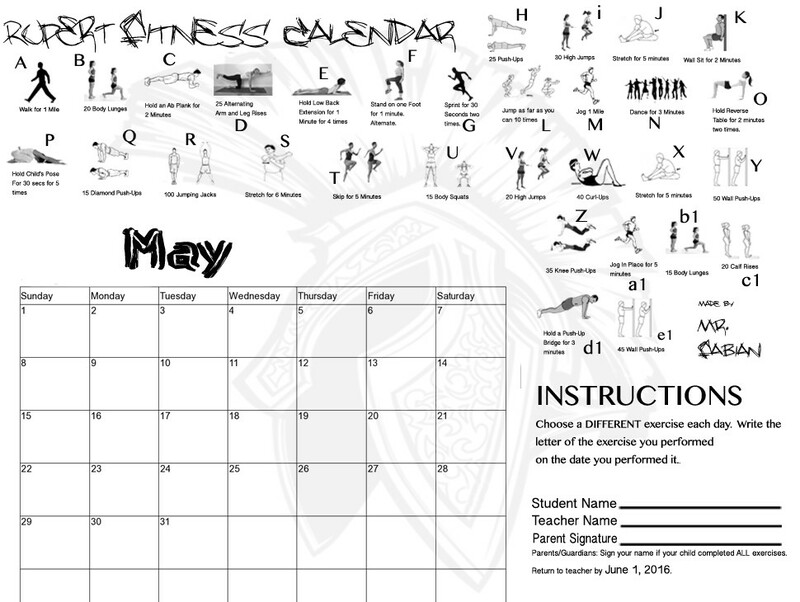 The two areas of focus for the 2015-2016 school year will be the Pacer Run test and Sit and Reach test. The Pacer Run test measures a students cardiovascular endurance. The Sit and Reach test measures a student's flexibility. Students will test twice in each test for the 2015-2016 school year.